"After a four-year wait, Sony has returned to the enthusiast/semi-pro end of the DSLR market. Having made little impact in that market with the A700 that very closely resembled the conventional DSLRs made by Canon and Nikon, Sony has spent the intervening time developing something a bit different." 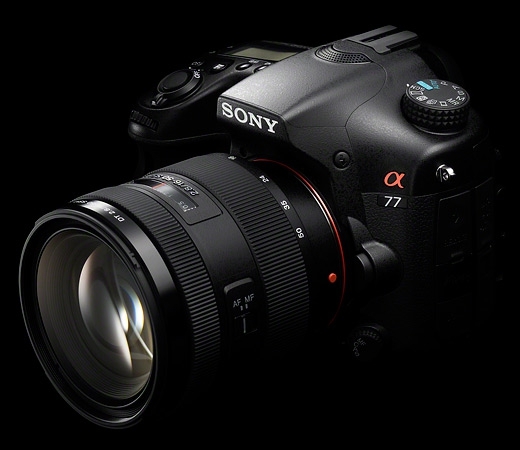 DPReview takes a look at the Sony SLT-A77, which features a 24 megapixel CMOS sensor in their special pellicle-like mirror DSLR. While the camera performs admirably in many ways, the high ISO performance is not very good, and the noise reduction efforts by Sony are rather ham-handed. I suspect that robbing some light away from the sensor might prove a bit too much for a sensor of this density. Have a look at the review and tell us what you think!